Fescue is a favorite grass for its low maintenance and resource requirements. The cool season grass requires less of everything, from mowing to fertilizer to water. For this lesser reliance on the earth’s resources, it is considered an environmentally friendly variety of grass as well. 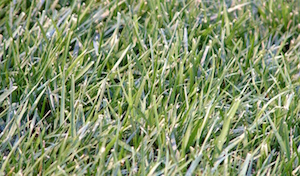 The Marietta Georgia lawn care tips contained herein are for fescue grass in general. Different varieties of this grass may vary in their requirements. In general, fescue grass only requires infrequent watering. It is a great grass for drought-prone regions. The grass goes dormant if there is insufficient water during say a drought, and will return when water is again available for it to thrive. It still needs water, though is able to make it through drier periods better than other grasses. The other cautionary tale here is the opposite of drought. You may be at greater risk of accidentally overwatering fescue grass. What happens when you overwater it is similar to what happens when you over water any plant. It makes the grass more prone to becoming diseased. In particular, anyone who plants fescue in more humid areas will have to take great care not to overwater their fescue. In the lower temperate zone, fescue needs more water during dry periods caused by evaporation. As a means to prevent the disease state from developing in fescue grass, many apply a fungicide treatment preventatively to reduce the likelihood of and kill any disease. The talk of the fescue world might be the tall fescue variety. The reason is that when it is cared for correctly it stands to provide a green lawn for the entire year. The first tip of the trade is to overseed during spring and fall. This allows a thicker sod to form. What this does is repair and replenish grass that has thinned. Such environmental stressors as insect damage, heat stress, disease, and a wide variety of other factors may cause the grass to thin. During fall and spring when it is the time to get to overseeding, it provides a secondary opportunity. It is time to try out new and better varieties of fescue grass. Some newer varieties may avoid or cure diseases that the older fescue faced. The new varieties of fescue have the added benefit of having been genetically adapted to be stronger. They are even more resilient to resisting disease and drought. You may mix different types of fescue grass varieties to improve the hardiness of your grasses. Start out by mowing your lawn as closely as possible. Then go ahead and rake the grass to remove all excess debris from it. This will also provide aeration for the grass. It is now time to apply a fertilizer to start new seed beds. When you are seeding, do so at a rate of four or five pounds for every 1,000 square feet of area. Use a slit seeding machine to aid in dropping the seed evenly. At this point, you do need to water for the next three weeks until the seeds take root and poke out as seedlings. You can plant the fescue without fertilizing if it is planted within lightly fertilized soil. Use 2.5 to 3 pounds of nitrogen in that same 1,000 square feet of soil. Do this as fall comes into view. Avoid fertilizing in hot months, such as during the summer. The basic idea is that overgrowth during hot months may result in greater instances of disease. Additionally, insects will have a field day when there is growth. Insects are in their prime during hot months. When you do mow your tall fescue grasses, be sure to adjust your mower to leave the grass at 3 inches to 3.5 inches in height. When you are not seeding, do leave the grass clippings in the lawn. This is great for a fabulous look that is healthy. For athletic fields, cut the grass down to 2 to 3 inches. Do note that in warmer climates it is best to leave the grass at 1.5 inches. This will prevent the turf grass from becoming dried out. If you mow too low then the tall fescue grass will dry out and die. When you are mowing, look for signs of health and growth. In addition take a look out for insects and fungus growth. Look out to see if the grass is healthy or thinning. Those are the keys to growing and maintaining your tall fescue grass in Marietta, GA. For more tips contact us today or follow our blog.